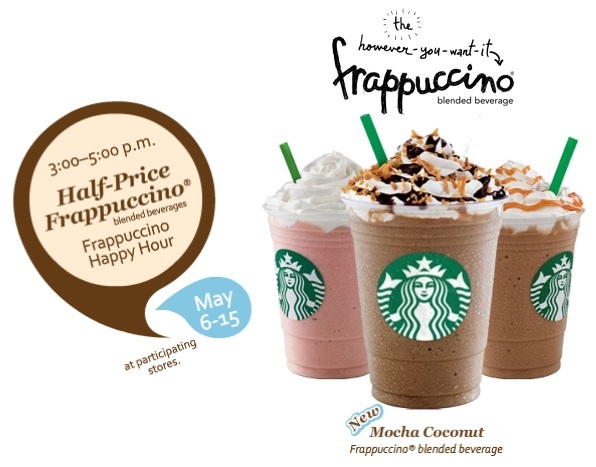 Babblings of a Mommy: Starbucks Happy Hour Is Baaaaaaack. Starbucks Happy Hour Is Baaaaaaack. I knew today was going to be a good day! I could feel it. And now it's going to be even better day for me and you other Starbucks lovers! One tall mocha frappuccino w/ chocolate drizzle, please!